Pet Birds & Parrots - Care, Behavior, Food and Pet Bird Facts – Pet Birds by Lafeber Co.
As the days lengthen, a bird’s reproductive hormones gear up. Hormones and other factors all contribute to breeding behavior, so what can you do to minimize it? Use these three vital tips to protect your precious feathered friend from the danger of pet-flipping, which is a term for when pets are stolen and sold. Explore the similarities and differences between these two engaging parrot species that people often mistake for one another. What to feed a companion bird is one of the most important questions people face. Do you know what is safe or unsafe, healthy or unhealthy for your bird? 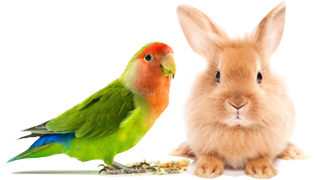 Lafeber Company encourages you to take all of your pets to see the Vet every year. Find the pet bird that's right for you.